Have you already heard about Shop More, Save More Event which is now available at U.S. Forever 21 online? Spend $50 or more and get 10% discount on your purchase. Use the code SAVE10 at checkout. Spend $100 or more and get 15% discount on your purchase. Use the code SAVE15 at checkout. 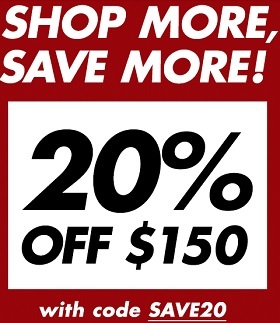 Spend $150 or more and get 20% discount on your purchase. Use the code SAVE20 at checkout. Offer is valid until October 1, 2017. For more details about the offer visit Forever 21 online.